11:20 AM PT -- The judge denied Suge's request to throw out the court orders. 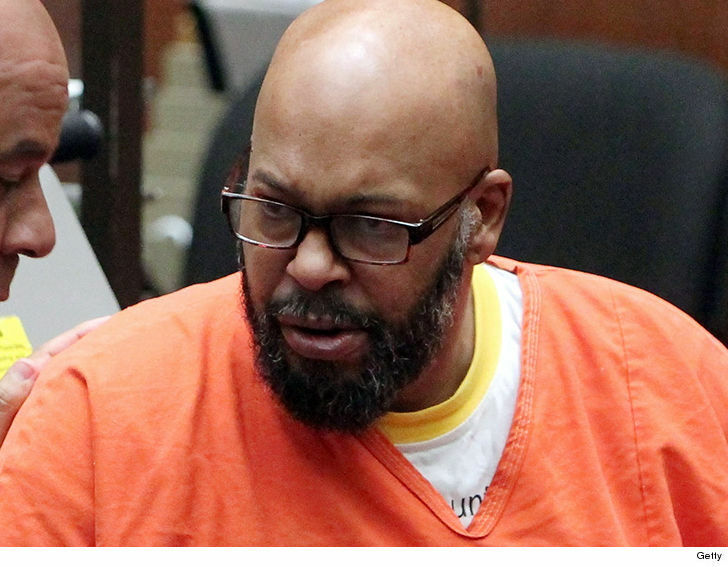 Suge Knight's blasting prosecutors and the L.A. County Sheriff's Department for playing dirty ... and now says he wants a judge to right the wrong. Suge filed a motion, alleging prosecutors and the Sheriff's Dept. "have secretly listened to every word" he's had with his lawyers since August 22, 2016. He claims they're eavesdropping on his attorney-client privileged conversations while he's in County Jail, awaiting trial for murder. In the docs, first published by the Daily Mail, Suge asks the judge to throw out all court orders -- allowing the eavesdropping and limiting his jail visits -- because they were made by a judge who later recused himself from the case. The ex-rap mogul's murder trail is slated to begin next week.